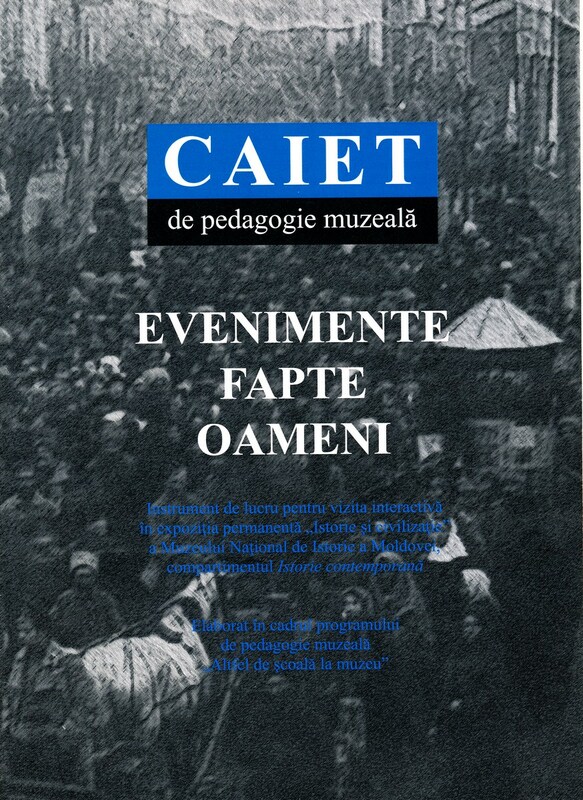 The National Museum of History of Moldova proposes a student education program entitled "Altfel de școală la muzeu" ("A different kind of school at the museum"). The main objective of this program is learning through and in the museum, in the context of harnessing mobile national patrimony. 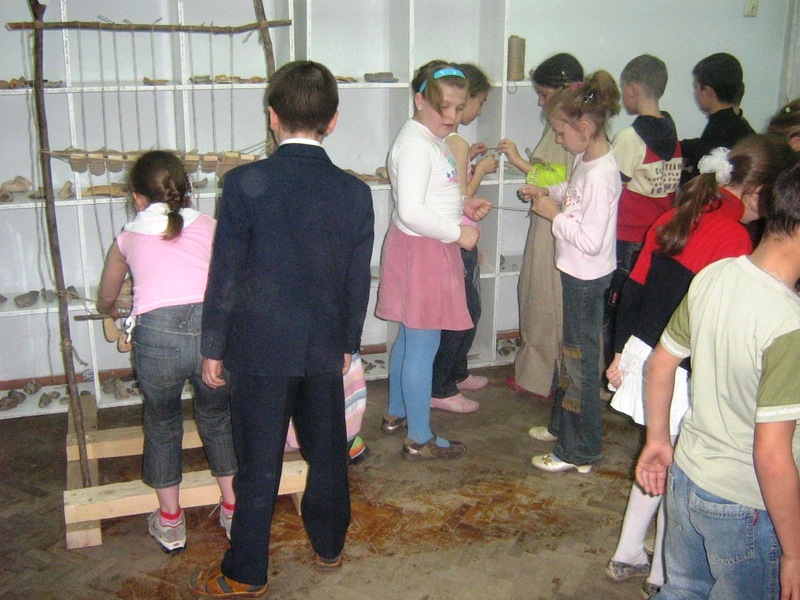 Participation in these educational projects of the museum is by appointment. Entries can be submitted from Monday to Thursday between 10.00 - 17.00, by calling 022240426 or by sending an e-mail at muzeuldeistorie@gmail.com . For details contact: Department of Public Relations, tel. 022240426. The interactive visit takes place in one of the halls of the permanent exhibition "History and civilization" and implies an interdisciplinary and interactive approach of the chosen theme, using principles of active pedagogy. The topics are treated differentially, depending on age and level of knowledge of the young audiences. - World War 2, Iaşi-Chişinău Operation. Educational notebooks „A journey into prehistory and ancient history", „Discover the Middle Ages with the curious Knight", „Events. Facts. People." (Contemporary History) and „Travel in time" (Prehistory - Contemporary History) are used as a tools for museum pedagogy which promotes education through heritage as an alternative form of knowledge of history. Coordinators: G. Mîrzac, N. Popovici, T. Zaremba, E. Golban. 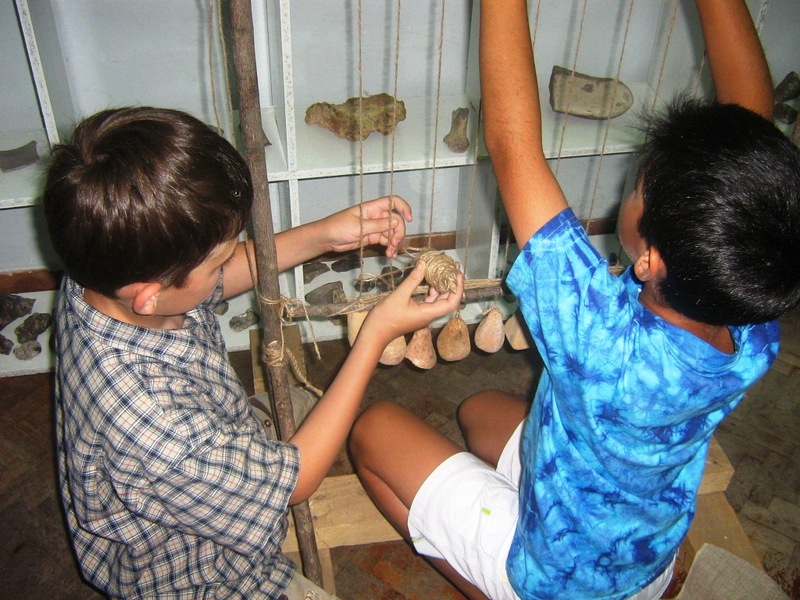 The Experimental Archaeology Workshop entitled "The Archaeological Object - an Enigma" is a journey through the ages long past; young audiences are invited to discover the secrets of prehistoric communities. 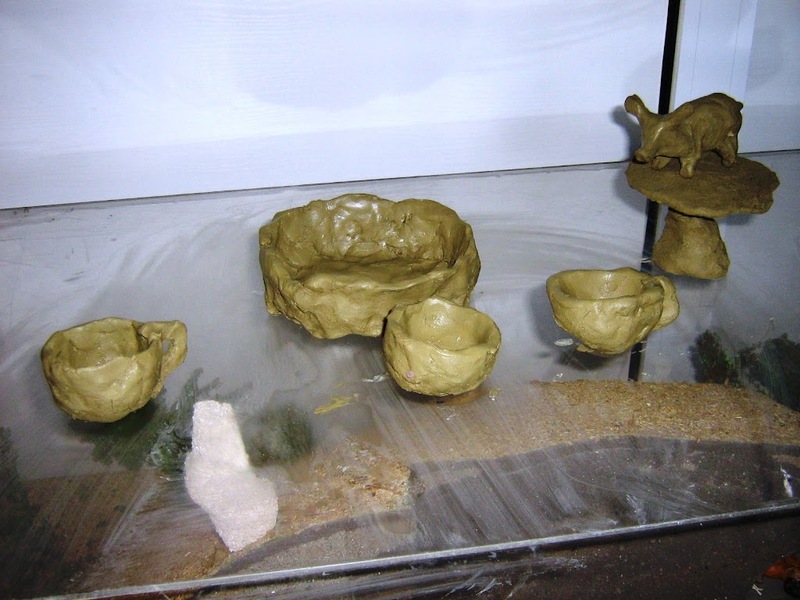 The program consists of a theoretical part (a guided tour in the old and ancient history part of the exhibition and viewing a documentary that reconstructs the life of a human settlement about six thousand years old) and an applied one in the workshop (getting to know and use the archaeological object itself in order to model prehistoric pots after the original ones). The workshop is equipped with prehistoric work tools and ceramics, illustrative materials, electronic projection devices and a film library that reconstructs the evolution of human society. Coordinator: Mârzac Galina. 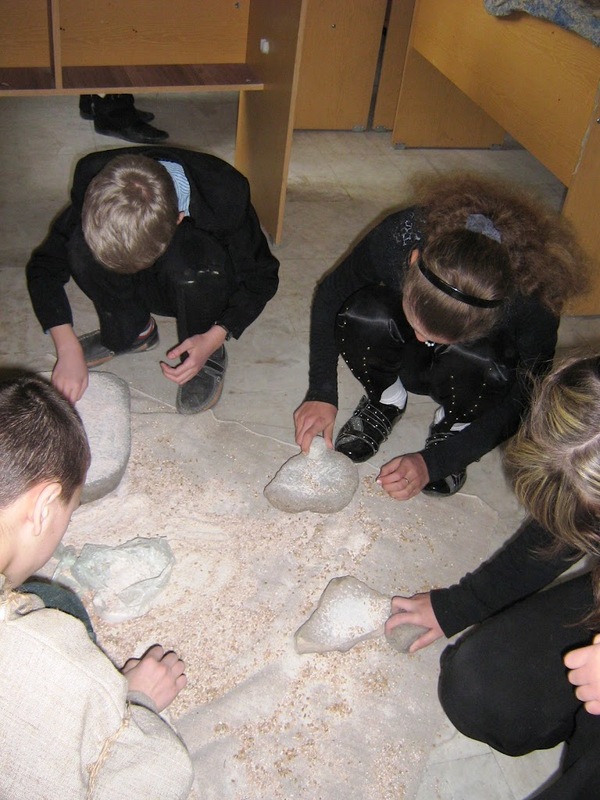 "Mysteries of prehistoric pottery" Workshop is a space designed to revive our ancestor's craft of ceramics. Through audio-visual projections and presentations of original objects from the museum patrimony, as well as by practical clay modelling activities students will discover the practical use and artistic value of the ceramic vessel recovered from archaeological excavations. Within this workshop a contest for the most skilled "master of prehistoric pottery" is organized. Coordinator: Mârzac Galina. "The History and Art of Writing" Workshop aims to introduce pupils / students to the world of writing, the materials used within the process and book printing. By using historical writing tools (pieces of wood or bone, wedge pens, pen, inkwells etc.) workshop participants will write on clay tiles, handmade paper (made at the museum workshop) and on industrial paper, different ancient texts and documents. Coordinator: Eugenia Golban. 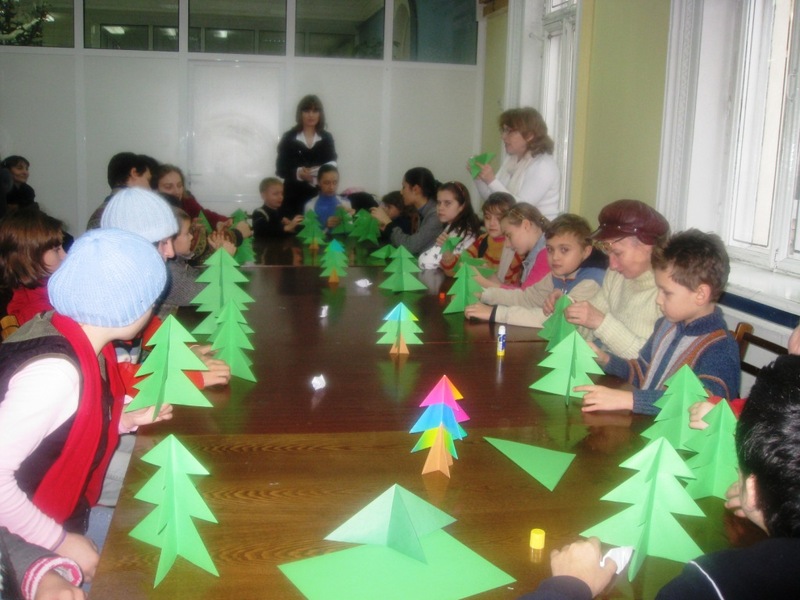 The "Little Magical Hands" Workshop includes an active tour of the exhibition and practical activities using the origami technique. Children will hear a story about the objects found in the museum and will work in the workshop. Here they will learn the technique of folding paper and will shape different objects that were seen in the exhibition. The target group for this program are pupils aged from 6 to 14 years. Coordinator: Tatiana Zaremba. Is a weekly cinema program for all audiences. The project promotes historical and documentary films as a means of historical and intercultural knowledge. The CLIO museum cinema provides weekly historic and documentary film screenings as well as thematic programs (debates, comments, meetings with filmmakers and historians). 1. Gumelnița. Bucșani (reconstructs the evolution of human society starting with prehistory) - 45 min. 2. Magia Cucuteni - The Magic of Cucuteni (reconstructs the great eneolithic civilization from South-Eastern Europe, Cucuteni civilization-TRIPOLI, mil V-IV BC.) - 25 min. 3. Cultura Cucuteni Tripolie - The Cucuteni Tripoli Culture (presents the Cucuteni ceramics - an exceptional heritage left by the eneolithic civizilation of sedentary farmers) - 20 min. 5. Voievodul. Măria sa Ştefan cel Mare și Sfânt - "The Prince. His majesty Stephen the Great" - 26 min. 6. Constantin Brâncoveanu - Constantin Brancoveanu - 27 min. 7. Mihai Viteazul, dimensiunea europeană a unui erou - "Michael the Brave, the European dimension of a hero" - 29 min. 8. Mănăstirea Putna - The Putna Monastery - 50 min. 9. Mănăstirea Neamț- The Neamt Monastery - 25 min. 10. Destinația Moldova. Mănăstirea Căpriana, Mănăstirea Hâncu - "Destination Moldova. The Capriana Monastery. The Hancu Monastery"- 15 min. 11. Orheiul Vechi - Old Orhei- 29 min. 12. Arme cu tărie, suflet românesc - Hard Weapons, Romanian Soul (military aspects of the 1848 Revolution) - 31 min. 13. For the defense of the country and its independence (The war of independence from 1877-1878) - 26 min. 14. Ballad for independence (The war of independence from 1877- 1878) - 8 min. 15. Filmele Independenței - Movies of the Independence (documentary testimonials of the 1877- 1878 Independence War) - 52 min. 16. Oșteanul de la 1877- The 1877 Soldier (The 1877-1878 Independence War) - 7 min. 17. Pe aici nu se trece! - You cannot pass here! (the beginning of the first world war) - 24 min. 18. Ordin de luptă împotriva uitării - War Order Against Forgetting(war veterans remember the fighting that took place in the heroic year of 1917) - 27 min. 19. Răstignirea României - Romania's Crucifixion (territorial loss suffered by Romania in 1940) - 28 min. 20. Omenie în vremuri de restriște - Humanity in times of distress (support of Polish refugees in Romania during World War II) - 26 min. 21. Lagărul - The Camp (concentration camps during The Second World War) - 26 min. 22. Basarabia- Bessarabia (the national movement between the years 1917-1918) - 48 min. 23. Marea Unire - The Great Union (Alba Iulia, December 1, 1918) - 38 min. 24. Golgota Basarabiei - Calvary of Bessarabia (crimes of communism in Bessarabia) - 62 min. 25. The expeditions of memory - 59 min. 26. Memorialul durerii - The memorial of pain (communist crimes in Romania) - 15 min. 27. Tricolorul din inimi - The Flag of Hearts - 20 min. 28. 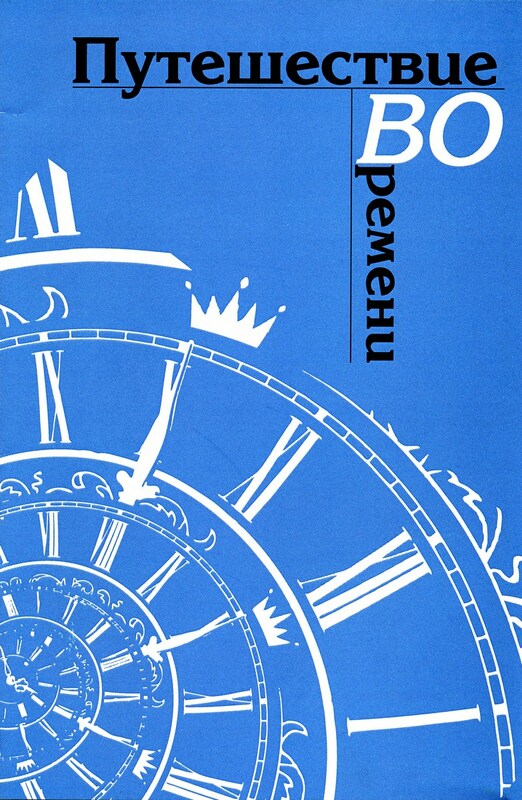 The echo of the military glory of the Romanian people in the writings of Mihai Eminescu - 6 min. 29. From a nation of braves - 8 min. 30. The poor from Prut - 50 min. 31. 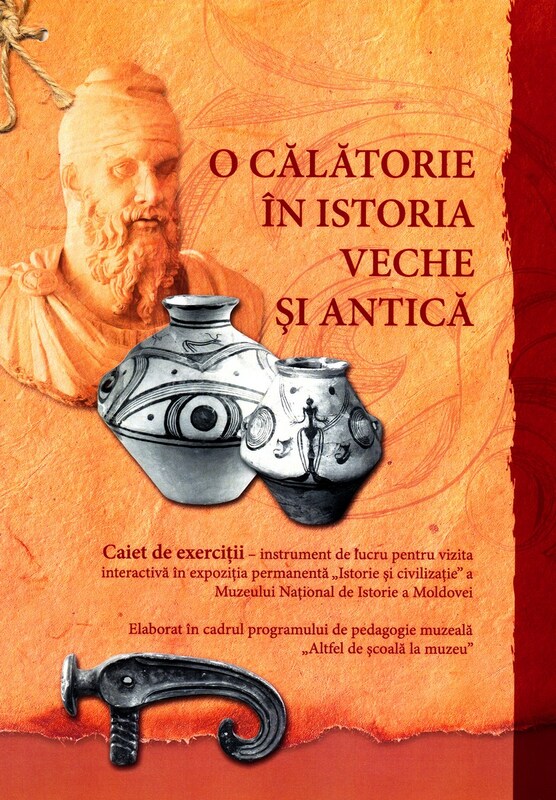 Cartea religioasă medievală. 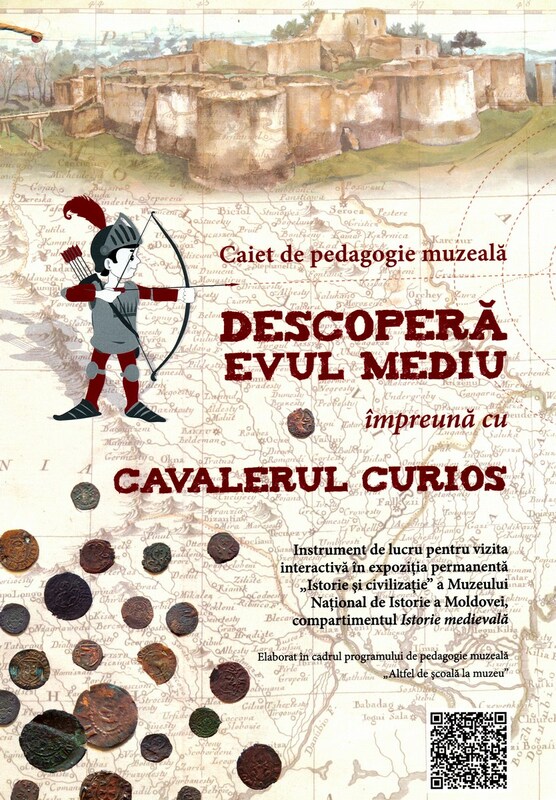 Din colecția Muzeului Național de Arheologie și Istorie a Moldovei - Medieval religious books. 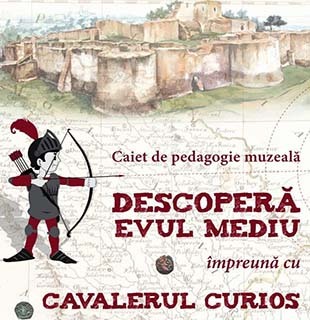 From the collection of the National Museum of Archaeology and History of Moldova - 30 min. 32. Chișinăul de odinioară în imagini - Old Chisinau in pictures (19th century - begging of the 20th century, based on the postcards owned by the museum) - 30 min. 33. Chișinău - o capitală europeană - "Chisinau - a European Capital" (promoting potential investment, tourism and culture of the city) - 20 min. 34. Alexandru Plămădeală și Şcoala de Arte Frumoase din Basarabia - Alexandru Plamadeala and the School of Fine Arts in Bessarabia (end of the 19th century - the ‘40s of the 20th century) - 17 min. 35. Christopher Columbus. A Lost Journey (in Russian) - 47min. 38. Burebista - 136 min. 39. Columna- The Column (Dacians during Decebal) - 130 min. 40. Ştefan cel Mare - Stephen the Great- 128 min. 41. Christopher Columbus. History of geographical discoveries (in Russian) - 115 min.